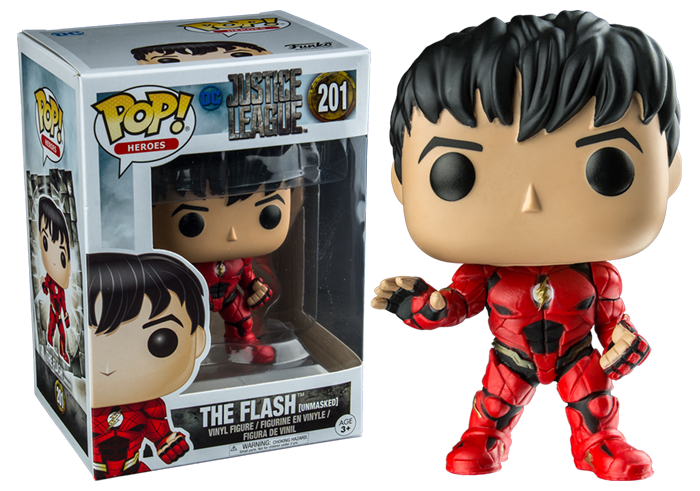 Justice League Movie – Flash Unmasked Exclusive Pop! Vinyl. This item is a Regal & Real D US exclusive and is unlikely to be stickered for the Australian market.